Selecting the right invitation for your wedding can be a daunting task. Most brides start by looking at samples they see on-line. While looking on the internet is fine, couples should see and feel the invitation suite before buying. The help of a stationer of fine reputation is the most valuable resource. Wedding Invitations run the gamut from something simple on paper, to layers, glitter, bands and more. For the right wedding invitation, you need to select your style for the entire wedding, and then the stationery choices will become more focused. Foil printing on invitations is very much in vogue right now. Be sure you understand that it will add cost to the wedding invitation suite. To print foil, the printer must have a metal plate made, and then use that plate to press the foil onto the paper. Some companies that Events by Design deals with have foil as an embellishment. The plates are made for certain words or embellishments, and then they reuse the plate time and again. For instance, “Save the Date” is a sure bet as an already made plate. The embellishment can be used with a photograph, or just with all the personal text added in using thermography or digital printing. Adding layers will add to the cost of your wedding invitation. You can add a flush mount layer which just makes the invitation thicker and less bendable, or you can choose a reveal layer for your wedding invitation, which means one paper is cut narrower than the other showing both paper colors. Paper itself can make a statement with the wedding invitation suite. Shimmer paper is popular – it has a metallic sheen to it. 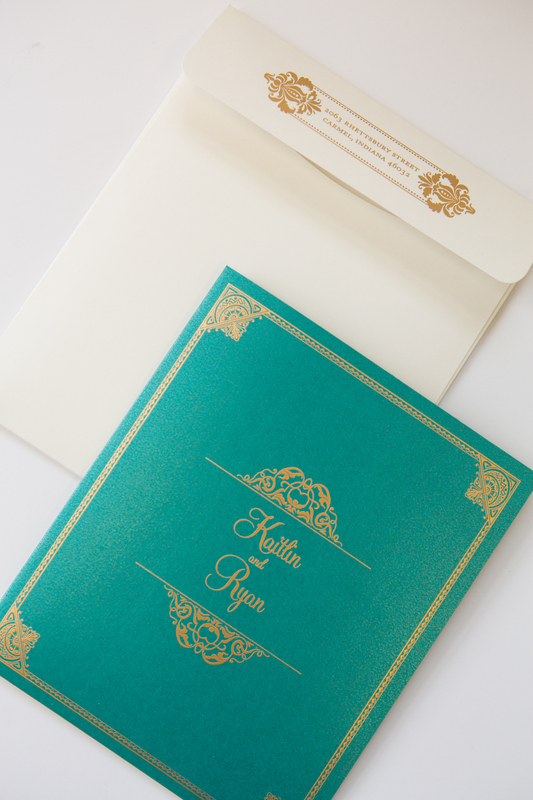 100% cotton paper is a luxurious paper that is used mostly for engraved invitations or letterpress invitations. If you desire a touch of glam – a glitter cardstock might be the right choice for your wedding invitations as a layer, an envelope lining, or a belly band holding all the pieces together. Events by Design can help you narrow your choices, and deliver the look you are seeking. We can also help you with the invitation wording, and the proper etiquette.